Surface defects on solid wood or plywood boards are detected by a scanner, on demand milled out and afterwards repaired. 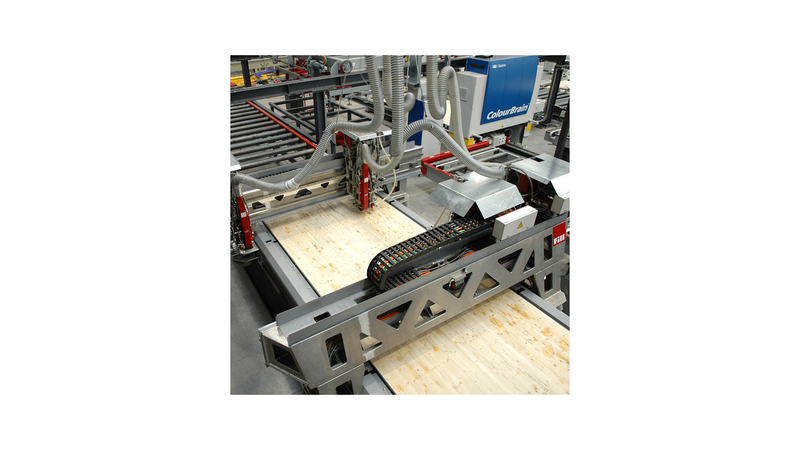 For the completely automatic repair of solid wood boards by means of real wood components. 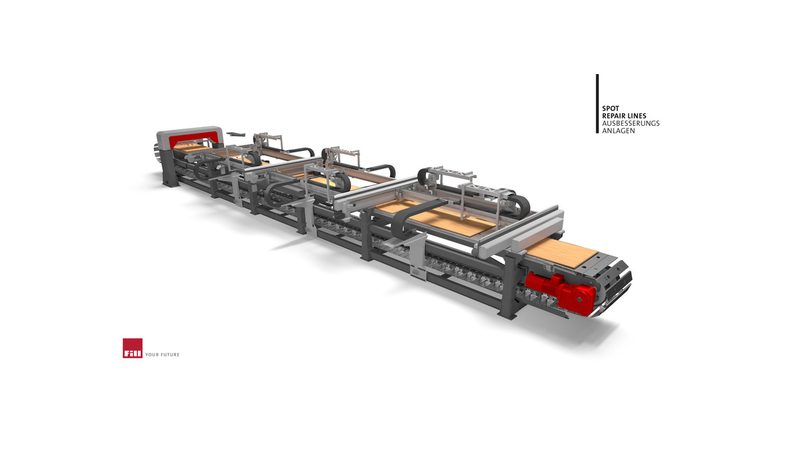 For the completely automatic repair of solid wood and plywood boards by means of viscous filler materials (1K or 2K).